Welcome to this NeoSeniors Services short video. 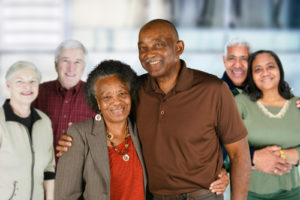 Today’s focus is Winning the Seniors’ Dating Game and I hope you get at least one good thing to help you optimize the Aging Experience! The most important single senior dating tip of all is this: Love is exciting and meaningful at any age. Have fun, be present, be free—and follow your heart where it leads. “See each date as a fresh start. Resist the temptation to compare each new person with past partners. Senior dating is not about filling someone’s now empty shoes or avoiding a repeat of past hurts. It is about starting over entirely and finding new things to love about another unique person. Treat each date as a chance to see how different a new relationship can be. As a senior, you actually have some benefits going for you as far as looking for a romantic partner. Think about it: you’re more mature and more skilled at reading people. You know what kinds of qualities you are looking for in a person, qualities like compassion and kindness that enrich relationships. Picking a partner is more about knowing that the person will complement your goals and ambitions, and knowing that while your new relationship can be wonderful, there will always be issues to work through. You no longer have lofty, unrealistic goals and are looking for a true partner in life.